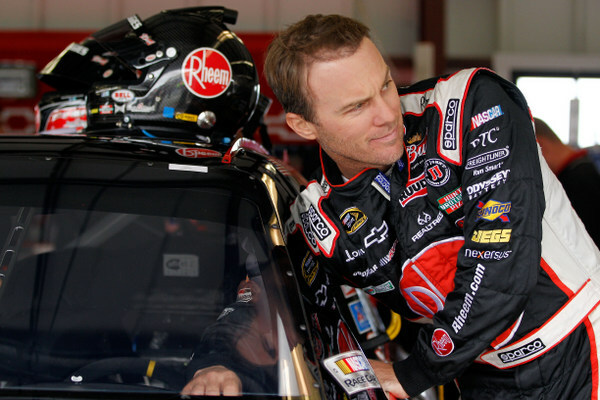 What is really going on inside the Kevin Harvick-Richard Childress Chevy camp? Only three weeks to go till the NASCAR championship playoffs kick off in Chicago, and it's looking like Panic City. Childress is putting a new crew chief atop the pit box for Harvick at Bristol this weekend, Gil Martin. Yes, that's the same Gil Martin that Harvick fired last November. It hasn't been a great summer for Childress' three Sprint Cup teams, and now he's trying to figure out just how to shake things up and get rolling again. His three men are all still winless, and this in a season where 14 different drivers have won the year's 23 races. Since Rick Hendrick's Chevy teams began a dramatic surge at Darlington in mid-May, they have dominated the action in NASCAR, at least until the last few days when Ford rival Jack Roush finally got back into the fray. The Childress teams, on the other hand, haven't really been much in the game at all. Jimmie Johnson, Hendrick's lead driver, has won three times since Darlington and led 612 laps. And Johnson was on his way to another win Sunday when his engine blew up with only 12 miles to go. Meanwhile Harvick, Childress' lead driver, hasn't won a tour event in nearly a year, not since Richmond last September, and since Darlington this spring Harvick has led just one lap. Harvick's 8th-place finish at Loudon, N.H., last month is his only top-10 the last two months, and he's logged just one top-five finish since March. That Harvick is even still in the playoff picture may be somewhat surprising. His finishing record is the weakest of the current top 10. Flash back to Homestead-Miami weekend last fall. That track opened for the final race of the season, and while Tony Stewart and Carl Edwards were engaged in that titanic battle for the NASCAR championship, Harvick, the man in third place in the standings, suddenly fired his entire team on the eve of the 400. Veteran crew chief Gil Martin and all the guys. It was not a pretty scene, and the shakeup was completely unexpected. 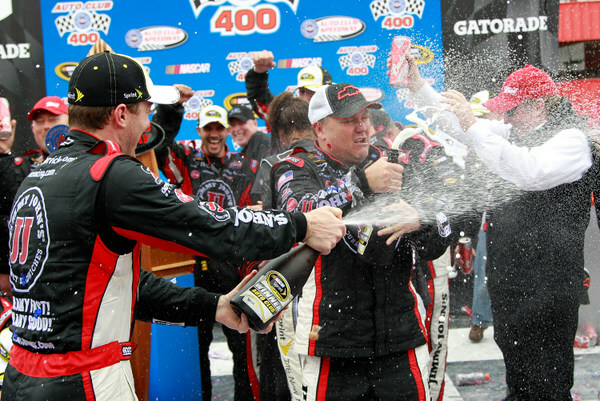 And this after Harvick and Martin had won four tour races and again challenged for the title. The year before Harvick and Martin had won three tour races and also challenged for the title, coming in third, just 41 points down. Harvick, though, decided he wanted team owner Childress to shake things up and give him a new team. Well, that hasn't turned out all that well. So Childress is now again shaking things up on Harvick's team, three weeks before the playoffs are to open. And Childress is bringing back Martin to run things this weekend at Bristol. What happens after that still appears up in the air. 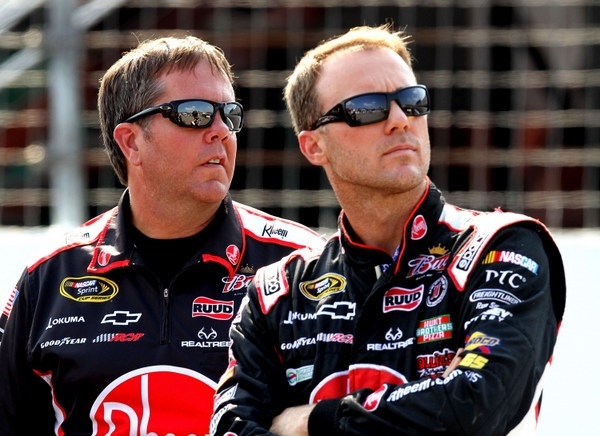 Last weekend Childress brought in Martin as 'consultant' to work with Harvick and Wilson. What happens next for Wilson is also up in the air. Submitted by Miketexas on Tue 08/21/2012 - 01:29. Here is the deal with Harvick that he refuses to accept. Although he might be as talented as Jimmy Johnson, Gordon, Kyle Bush, Hamlin, Edwards, etc...... He does not drive for Hendrick, Gibbs, Roush, Penske. He drives for Childress. And this is why he is so bitter.........See as much as it seems Richard Childress racing is a super-team, and on paper they are. Fact of the matter is RCR does not have the deep-ended pocket books that Roush/Ford, Hendrick/GM, Gibbs/Toyota have........Richard Childress does have a treasure chest of money, just like those other race teams, but Richard Childress is not going to broke keeping up with the spending of Gibbs, Roush, Hendrick & Penske to a point. Childress made what fortune he has in racing(unlike the other superteam owners) and he is not going to lose it in racing. RCR will spend money, but will only spend money to a point. Sure, they have competed for race wins the past 10 years, but to put RCR on the same level of Gibbs, Hendrick or Roush is a complete stretch. The shortfall of spending, R & D, engineering, people is the balance that keeps RCR from being one of the true superteams...... Harvick knows this and thinks he desrves better. So he's bitter. So he gripes. He is very aware that after 12 years of trying to win a championship to no avail can be attributed to one of 2 things. Either the driver is incapable or the team is. Submitted by Fireball Roberts on Tue 08/21/2012 - 06:36. This sounds like another case of "it can't be the driver's fault". We've seen it with Earnhardt Jr. and Carl Edwards. The crew chief always takes the hit, because it can't be the driver's fault, right? First it was Berrier, then Martin, and now Wilson. How many more of Harvick's crew chiefs have to be fired before the real culprit to the problem is? Can't the driver ever be fired, or told to drive harder/better? Childress better hope his grandkids can save the race team, because it's in trouble right now. An aged Jeff Burton, a bring-sponsor, can-drive seat taker in Menard, and the confrontational Harvick are not much for bringing hope to this race team in the near future. Childress failed to hang on to the best driver he had in the stable in Bowyer, and that's going to hurt him over the next couple of years. Submitted by Mr. E. Caution on Tue 08/21/2012 - 08:31. Just a thought, but Harvick has to have a team shake up every year or so. I've heard how he talks to his team over the radio. I realize that there are a lot of emotions in the car during a race but Harvick's attitude is down there with the Busch brothers. With all the team changes, the only two common denominators are Richard Childress and Kevin Harvick. I don't hear Childress berating his team over the radio so maybe the problem lies with Harvick. Or Harvick's attitude. Submitted by Devin McMusters on Tue 08/21/2012 - 08:45. To quote England Dan and John Ford Coley, "It's a laugh. It's so funny, ya gotta laugh"!!!! !